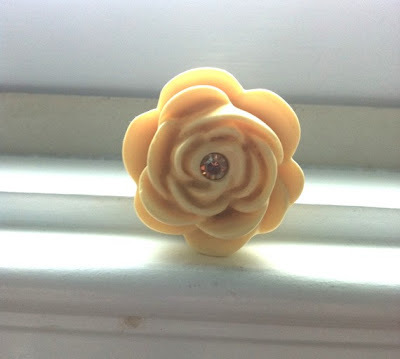 GirlBurke Studios, our Etsy shop this week, comes to us from Melanie in Ohio. Melanie's talents range from abstract painter to mother of four, but she showcases her other love, jewelry design, in GirlBurke Studios. Specializing in handmade artisan jewelry, Melanie has stocked her Etsy shop with earrings, rings, bracelets, necklaces and even a LittleGirlBurke line created by her daughter. Featuring an adjustable Silver Plate band, this 1 1/4" yellow Swarovski rose will be certain to get you in the mood for spring! 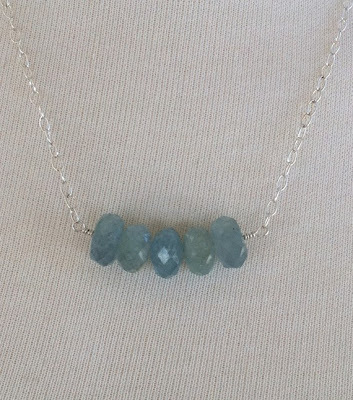 Aquamarine has always been a personal favorite of mine, as well as my birthstone, and Melanie has done it justice here. 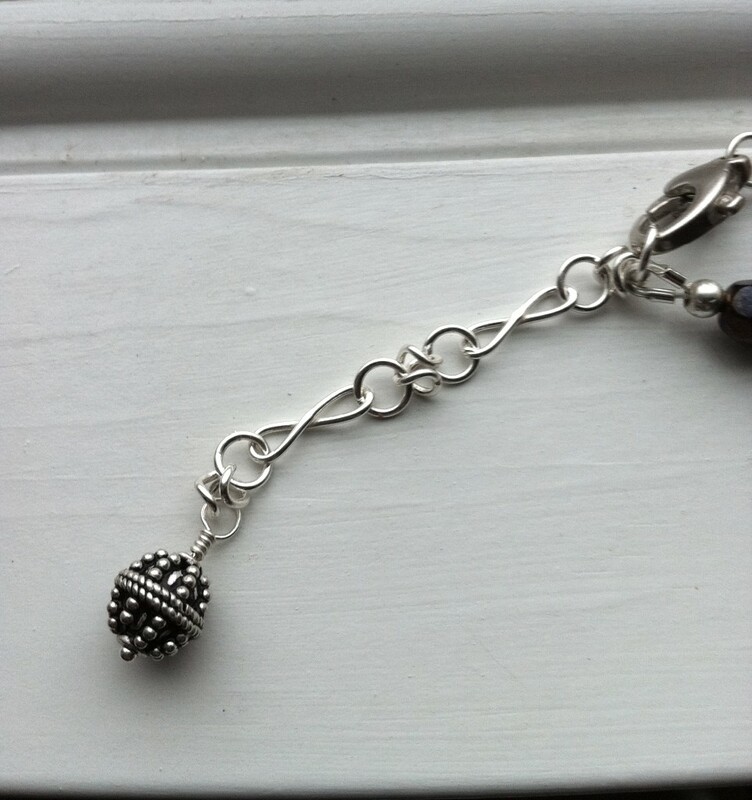 The five roundels make a beautiful combination paired with the sterling silver 18" chain. This TierraCast 3/4 x 1" padlock hangs from a 16" aluminum chain. 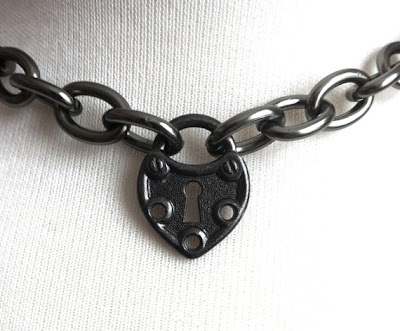 Melanie also has created a bracelet with the padlock design as well. 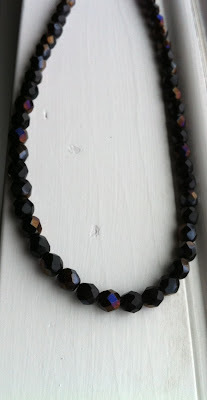 This necklace made of 6mm Fire polished Czech glass beads and sterling silver. 1.Check out GirlBurke Studios. Come back and tell us about your favorite item(s) in the shop. 3. Be or become a follower of Joy De Vivre on facebook for an additional entry. Entries will be accepted from now until next Monday, February 28 at noon. Check back Monday night to see if you are the lucky winner! The first thing that caught my eye in the shop is the Sterling Silver Mom Heart earrings. These are just about the sweetest design I've seen todate, really so precious! Thanks for the lovely giveaway. I follow your blog via gfc, thank you. follower of this blog . I love many things here, including the Aquamarine earrings, so dainty and pretty in color. i really like the vintaj fairy earrings! also, i think it is cool that she has a section for her daughter! i have now liked your page on facebook!